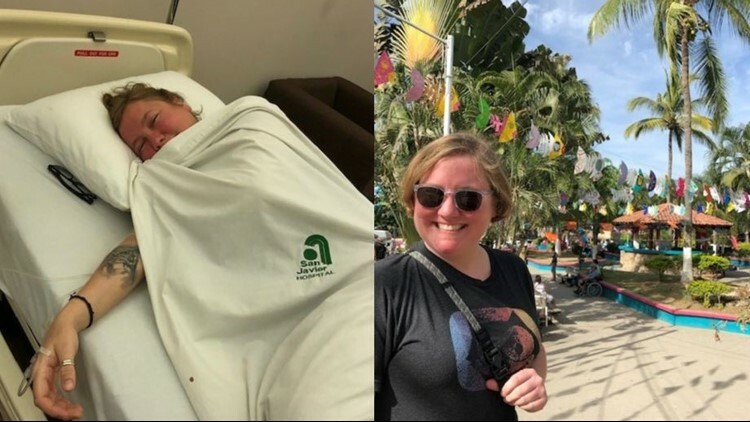 PORTLAND, Ore. — A Portland woman was hospitalized for more than a week after suffering seizures and memory loss during a vacation in Mexico. Doctors don’t know what caused the mysterious condition. Glass, 40, theorized she could have been drugged or given tainted alcohol, although toxicology tests came back negative. Many of her symptoms, including disorientation and seizures, are similar to other reports in 2017 and 2018 when dozens of tourists complained of injuries and illness after drinking what appeared to be tainted alcohol at resort towns in Mexico. Glass and a friend, Stacia Secreriat, visited Mexico’s Pacific coast to celebrate their birthdays in November 2018. They stayed in the resort town of Sayulita. “It was incredible. Everybody was nice. It was beautiful,” said Secreriat. But on the fifth day of their vacation, something happened. Glass suddenly became disoriented, then had a seizure, something she had never experienced before. “Her mouth was foaming. Her face was really contorted, and her eyes were red and rolling back,” said Secreriat. Paramedics were called to the resort, when Glass had another seizure before regaining consciousness. “She was kicking violently, trying to get people away from her,” said Secreriat. Glass was hospitalized for three days in Mexico. Once she was stabilized, the Portland woman flew back to Oregon. She was immediately admitted to Providence Portland Medical Center. Glass spend five days in the Portland hospital. Medical records show Glass went through a series of tests including a CT scan, MRI, spinal fluid, blood work and toxicology. The tests showed nothing abnormal. Doctors also gave her a rabies vaccine as a precaution. Glass had no pre-existing condition. Physically nothing was wrong, but Glass said she continued to suffer memory problems for weeks. She couldn’t remember the vacation, felt confused and disoriented, at times. Doctors admit there’s no clear explanation, although the case does share some similarities with reports of tainted alcohol in Mexico in 2017 and 2018. 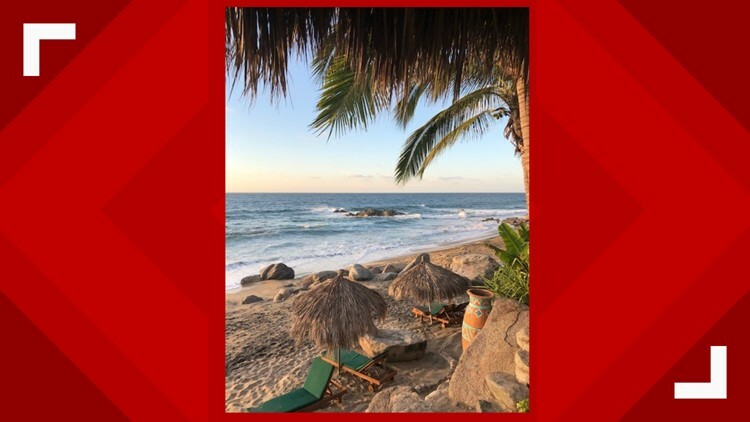 An investigative report by the Milwaukee Journal Sentinel exposed troubling accounts from tourists vacationing at resorts in Mexico. Since early July of 2017, the Journal Sentinel found more than 170 travelers who described injuries, illnesses and deaths after drinking alcohol at resort towns in Mexico. In 2017, the U.S. Department of State issued a warning and started tracking reports of blackout and injuries potentially related to tainted alcohol in Mexico. The State Department encourages visitors to be familiar with any potential risks in Mexico by reviewing the Mexico travel warnings. Additionally, visitors are encouraged to travel in pairs and groups. Don’t drink alone and request beer in a bottle or can and open it yourself, when possible. If someone suspects they’ve been drugged or the victim of a crime, they should contact the nearest U.S. Embassy. Glass doesn’t know if there was foul play. She just hopes others don’t have a similar experience on vacation. Videography for this story by Gene Cotton.